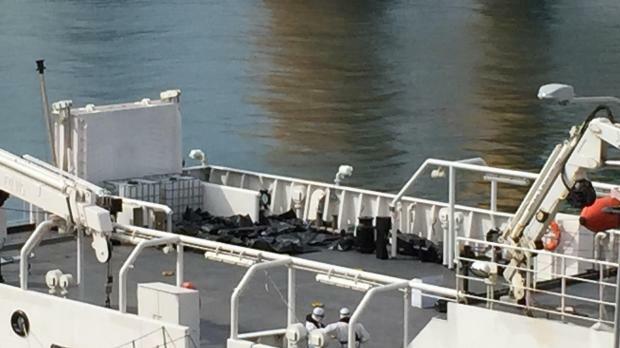 Body bags seen on the deck of an Italian patrol craft in Grand Harbour. 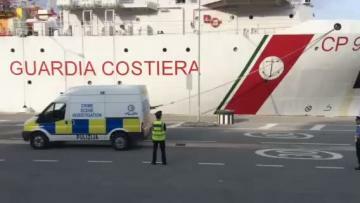 Corpses of 24 migrants who perished in one of the biggest ever tragedies in the Mediterranean have been disembarked in Malta but 28 survivors are being taken to Italy to assist in investigations. The corpses were brought to Grand Harbour by the Italian coast guard vessel Gregoretti along with the 28 survivors, all men, who will be taken to Italy. The migrants' boat, carrying between 700 and 900 passengers, capsized on Saturday night 130 miles south of Lampedusa. The corpses will be taken to Mater Dei Hospital morgue for autopsies and later burial. Magisterial inquiries will be held in Italy and Malta. The survivors are being interrogated by the authorities, and Prime Minster Joseph Muscat said they had given haunting accounts of how the two-decked vessel was crammed with up to 950 migrants, with those on the lower deck locked in a hold. Among them were 200 women and 50 children. 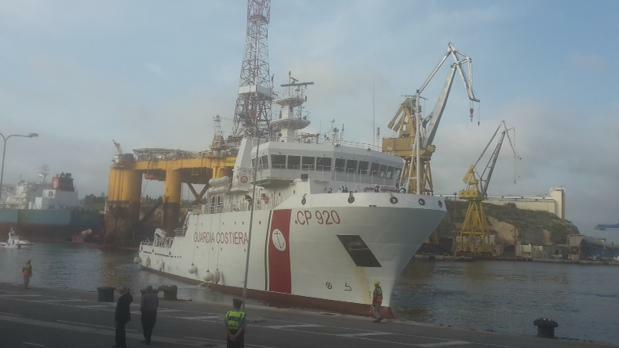 The white Italian coast guard vessel berthed at Boiler Wharf, Senglea, where Maltese and Italian officials were waiting, including the Italian ambassador and senior police officers. Gian Luigi Bove, captain of the Gregoretti said it was believed that the migrants' boat capsized at about 7pm on Saturday. The Gregoretti arrived at about 2am on Sunday. 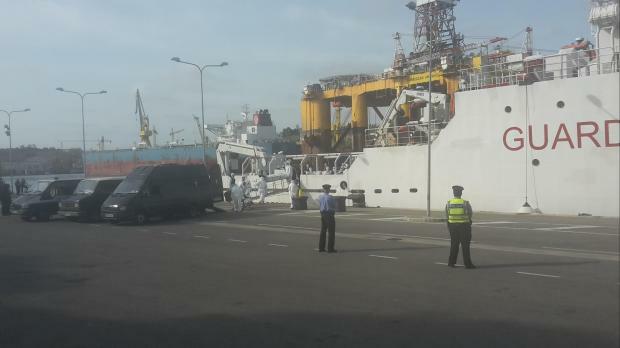 Other vessels arrived earlier. There was no sign of the migrants' boat. He said that whenever his crew went on such missions they always hoped to find everyone alive. In this case they directly rescued two people and then found a number of bodies. The other survivors were then transferred from a merchant ship. The survivors, all sub-saharan men, appeared relieved to be rescued, but grief was all over their face, he said. The search for survivors is continuing out at sea. 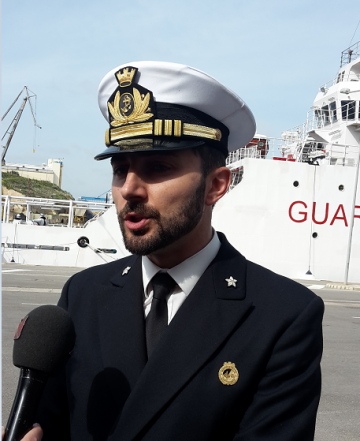 An AFM officer told the media that a Maltese patrol boat had found a life vest and personal items including what appeared to be a diary. They were passed on to the Italian authorities. Meanwhile, sources in Libya said more migrant boats left last night from Sabratha and Zawiya west of Tripoli.